GULF OF ADEN– Sailors aboard the guided-missile destroyer USS Chung-Hoon (DDG 93) celebrated Martin Luther King Jr. Day, Jan. 21. 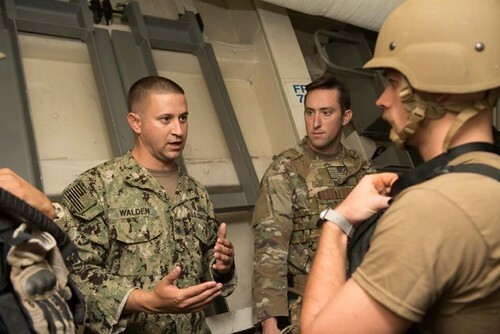 GULF OF ADEN – U.S. Navy Sailors aboard the guided-missile destroyer USS Chung-Hoon (DDG 93) recently completed training for maritime security operations in the Gulf of Aden during the month of December. This blog originally appeared on Navy Live. http://navylive.dodlive.mil/2018/07/25/forged-and-ready-chung-hoon-legacy/"